"I would recommend this service to anyone in the repair industry. I have personally used this service for 5 months now and have doubled my monthly sales and still seeing growth every month! 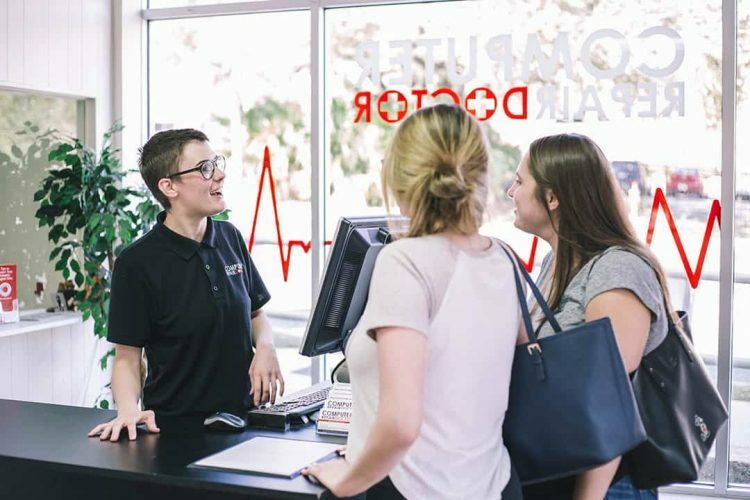 💯"
We're industry experts in the retail repair business. We're former part suppliers, techs, and multi-shop store owners. We dare say we know this industry just as well as you - if not better. When your marketing company has lived in your shoes, great things happen. Apparently, I spent mine on Adwords. And that's just on our accounts, that doesn't include what we've managed for our clients (which I'm sure would dwarf our measly million bucks). Now, I'm the kind of guy who likes to do a little research when I spend a million dollars. You know, kick the tires, learn about what's under the hood. So I invested a little time in learning about Adwords... well OK, I invested a LOT of time in learning about Adwords. After all, I spent a million dollars on it. And over time, I got pretty good at it. So good, that Google Adwords reps started telling me it was one of the best account setups they've seen. At one point, I even hired a well known digital marketing agency to take over management of our Adwords account (I wanted to see what I was missing) but our performance dropped. So I took back control. One day, a friend in the industry asked me for some help with his Adwords account, so I obliged. Then it dawned on me... maybe I could help other repair shops too. It worked out great. We refined our Adwords management processes, and streamlined things like A/B testing and routine campaign maintenance. And while we’re not gonna name drop, we’ve even whitelabeled our services for some of the most popular marketing firms in the repair shop community. We also gained experience in markets throughout the country. We got to see campaigns setup by dozens of different repair shops and digital marketing agencies alike. And over time, we began to combine the best of every account we came across. We learned the strategies that worked nationally, and what needed to be tweaked for every local market. 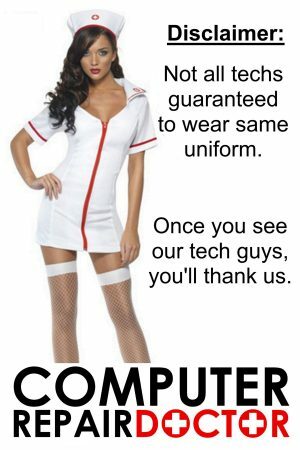 So today, we're ready to offer that service to YOU. Google Adwords is our iPhone Repair, streamlined and the backbone of our company. We offer all of these services both individually as well as in larger packages (hint: you get a discount for a package buy). Browse our services page or get in touch with us to learn more about how we can help with your marketing goals. If you're familiar with Adwords Management services, we might seem cheap. But please don't call us cheap, call us 'financially effective'. See, we've worked very hard to streamline our processes and develop extremely lean and efficient ways to manage Adwords campaigns. We can spend 10 minutes on a task that used to take us over an hour. We've standardized as much as possible about our ad group structures, our keyword management, and our bid methods. We've built scalable campaigns that are designed for flexibility and large scale management. The bottom line is that we can accomplish more for your accounts in less time. And less time means we can afford to bill you less. And since we're not all 15+ store juggernauts, we could all benefit from lower tiered pricing services. Wait... but aren't you my competitor? Well, this is awkward. You own your own repair shop? Yeah, so do we. So doesn't that mean that we're competitors and we shouldn't be working together? If this is your mentality, you're going to be very lonely in this industry. There's strength in numbers and we'll all be much better off if we work together. But we understand your concerns, so lets address them. First of all, we're not interested in opening a location near you. Frankly, we're more interested in expanding our marketing and consulting services than opening more repair stores. Why? Because we're getting pretty good at this marketing stuff. And we think it's pretty fun too. Secondly, there's not much we can learn from running your marketing that we don't already know. We're interested in helping you (for a fee), not competing with you. Seriously, we're nice and responsible people. If you're worried there's a downside in letting an 'in-industry' company work with you, give us a call and let's discuss it. I guarantee you'll feel better once you talk to us. I'm sure you're doing a great job. However, almost ALL of us don't get into the account enough. I used to be guilty of this too - I'd setup an Adwords account and forget to check on it for months at a time. 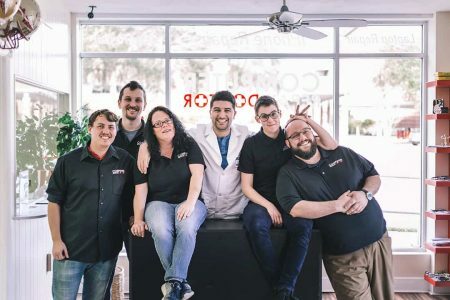 It seems silly now, but there's A LOT to do when you're running a repair shop, and staying on top of Adwords doesn't always make the top of the list. Maybe we can significantly improve your campaigns or maybe we can only marginally help. Regardless, we'll put in the time week by week to keep track of your Avg Pos. and CPCs, adjust your keyword bids based on device type and location, monitor your search terms for unnecessary clicks and new opportunities, plus a lot more. If you've been running your own Adwords account, we're SURE this is all stuff you can handle - but how often are you getting around to it? 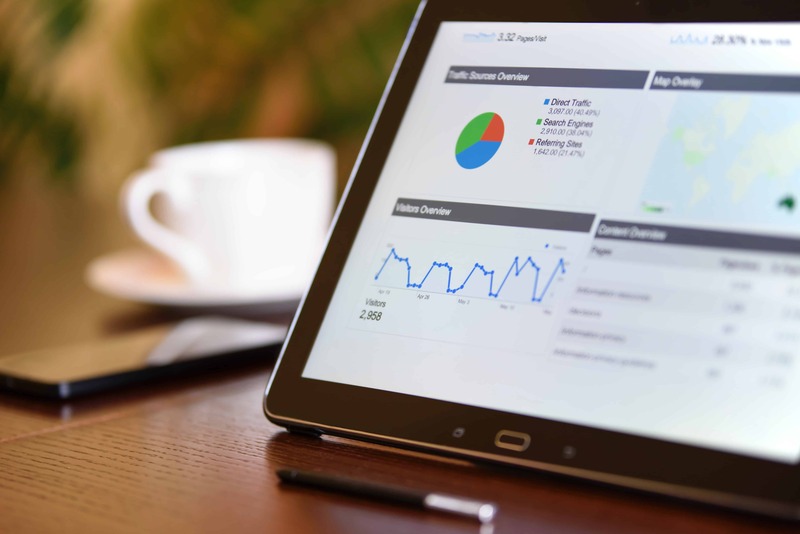 And if you run your own Adwords account, you probably know that a good Adwords manager will pay for themselves in cost savings and improved ROI. I bet we're cheaper. I bet we're also more experienced in this particular niche and we're more transparent about how we're managing your account. It's not that we're superhuman marketers - we're good, not gods - it's that we know this niche. 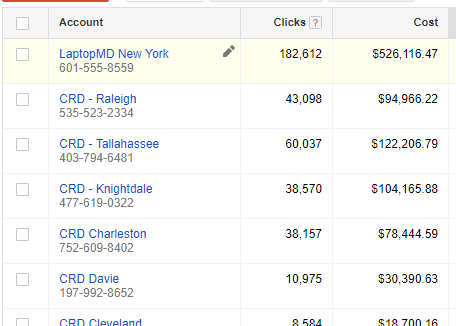 We've spent over a million dollars (and almost a decade) on Adwords in this niche. This wasn't client money either, this was "I could've had a few lambo's in my garage" right out of my own pocket money. So we know this niche and we learned to be efficient and effective with our ad spend. Ready to talk about how we can help you?